BourbonBlog.com invites you to attend the Kentucky Bourbon Festival in Bardstown, Kentucky this week, September 17-22. For a full schedule of events, see schedule below. With BourbonBlog.com‘s extensive coverage over the last 8 years,we’re bringing you several of our favorite video highlights below. 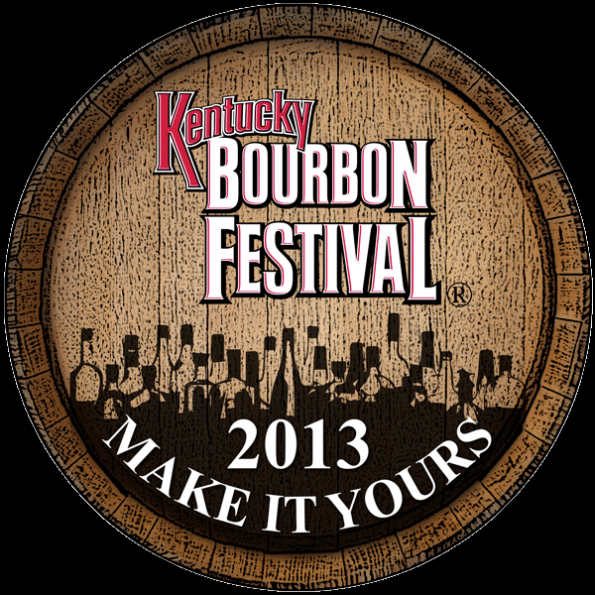 For even more click this link – Kentucky Bourbon Festival. 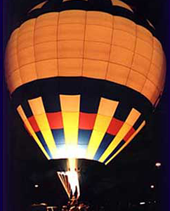 Which events will YOU be attending or have you attended in the past? Tell us below under comments, we’d love to hear about your Kentucky Bourbon Festival experiences! Downtown Bardstown, North Third St. and Flaget Ave.
Spalding Hall, 114 North Fifth St.
An 1826 building housing stills, photos, artifacts and displays of distilling from pre-colonial days to the present. Gift shop includes historical Bourbon memorabilia. Free admission. Donations appreciated. Follow the clues to great prizes and discover the “Most Beautiful Small Town in America.” Pick up your clues at the Welcome Center. Free activity. Guthrie Opportunity Center, Home of Nelson County Industries (NCI), 900 Nutter Dr.
411 W. Stephen Foster Ave.
501 East Stephen Foster Ave.
Join Woodford Reserve Master Distiller Chris Morris, Woodford Chef-in-Residence Quita Michel and Gil Logan, Executive Chef of My Old Kentucky Dinner Train, for a special Woodford Reserve Bourbon tasting and Kentucky Proud lunch in the train’s historic depot. $35 per person (Must be 21.) Reservation required. (800) 638-4877. #4. The Old Stable, 116 W. Stephen Foster Ave.
A meander through the history of Kentucky Bourbon making, legal or otherwise. No tale untold, no barrel left untapped. Local historian Dixie Hibbs and visiting experts will share their tales. Limited seating. Please call for reservations – $25 for lunch inclusive. Call (502) 507-0808. Behind City Hall, 220 North Fifth St.
City Hall Parking Lot, 220 North Third St.
Spalding Hall – Lawn, 114 North Fifth St.
Spalding Hall and City Hall Lawns, 114 North Fifth St.
City Hall Lawn, 220 North Fifth St. Enjoy live music by performers throughout the weekend. Bring your own chair and enjoy a variety of entertainment. Featured on Saturday, September 21, The Kentucky Headhunters, brought to you by sponsor Four Roses Distillery. Free admission to the Lawn. In front of City Hall, 220 N. Fifth St.
City Hall Lawn, 220 N. Fifth St.
Coopers from Independent Stave Co. demonstrate the unique and historical craft of making special oak barrels for aging Bourbon. Free admission to the Lawn. Take a ride on a steam locomotive. Robbers are after its liquid gold cargo. $19.00 adults, $14.00 children 2-12 years old. Reservations requested. (800) 272-0152. 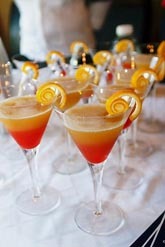 The Tasting & Gala is the signature event of the Kentucky Bourbon Festival. A Bourbon lover’s dream and a night you will never forget. Begin your evening by sampling the finest Kentucky Bourbons from eight distilleries and two brands, with a chance to meet Master Distillers and Ambassadors while gathering a collection of glassware in a Buffalo Trace tasting bag. Following the tasting, enjoy the official toast with 1792 Ridgemont Reserve Small Batch Bourbon. Begin your gourmet experience with a salad enhanced by Michter’s Bourbon. Continue to tantalize your taste buds with a gourmet Kentucky meal and a specialty dessert prepared with Blanton’s Single Barrel Bourbon. Dancing during the evening. $140 per person. (Must be 21.) Reservations required. (800) 638-4877 #4. Dress – formal-black tie only. 501 E. Stephen Foster Ave.
Spalding Hall – Lower Floor, 114 North Fifth St.
Bardstown Country Club at Maywood, 130 Maywood Ave. Heaven Hill Parking Area, 1311 Gilkey Run Rd. Spalding Hall – Chapel, 114 North Fifth St. This prestigious auction, courtesy of Oscar Getz Museum of Whiskey History, gives you the opportunity to bid on vintage items and unusual bottles of your favorite Kentucky Bourbon, some autographed by the Master Distillers. Proceeds benefit Spalding Hall. Free admission. Donations appreciated. Nelson County Civic Center, 321 South Third St.
United Way’s campaign kickoff. All levels invited and prizes galore. $15 per person (502) 348-1891 Registration day of the event.